FUTABA CORPORATION was founded in 1948 in Japan as a manufacturer and seller of receiver vacuum tubes. Utilizing vacuum tube technology, Futaba began manufacturing vacuum fluorescent displays. In 1962, Futaba began producing radio control equipment as well as press die set components, establishing what still remains as two of the company’s primary divisions. This was followed by the development of mold base components and the more recent addition of VFD modules to complete the lineup of Futaba’s major products. VFD are used in automotives, audio equipment, Point-of-Sales systems, appliances, and much more. The latest in VFD module technology from Futaba allows easy conversion from hard-to-read LCD’s to vibrant Vacuum Fluorescent Displays. Drastically improve your display’s readability, viewing angle, and temperature range. A Touch Panel is a sensor type device fabricated by forming a transparent electrode on a substrate of glass or film. There are different types of touch panels such as capacitive, resistive, IR, etc. Futaba only develops/produces Capacitive Touch Panel which recognizes the touched coordinates by a change in the touch capacitance. The touch panel is typically used in conjunction with a display device such as a LCD. Futaba has been a world leading manufacturer of radio control products since 1962. Since that time, Futaba has continuously expanded its product line-up, function, quality, and performance. Today Futaba offers a full range of high-quality RC transmitter & receiver sets, standard and custom servo actuators, and high-performance gas powered engines for industrial and commercial UAV/UAS applications. A VFD module incorporates a controller, anode driver, grid driver and power supply circuit to make evaluation easy. It performs a variety of display control functions using a simple command, and multiple interface options are available. An OLED has a structure which is an arranged organic LED device. It is composed by stacking thin film layers made from organic materials applied between two electrodes on a transparent substrate. Applications include wearable technology and activity monitors, instrument panels, commercial mixing boards, and much more. Command-type LCD Module is an indicator attached to a control board (to TFT-LCD) that achieves indication easily by using command. Applications include Point-of-Sales systems, measuring equipment, and many types of industrial equipment. Futaba Corporation offers the MOLD MARSHALLING SYSTEMTM which is the inside-cavity measurement system for injection-molding, including low-cost/easy-to-use cavity pressure monitoring system, I/R type actual melt temperature sensing system, and flow-front velocity detector with fiber-optic technology. We provide our customers simplifying realization of “plastic behavior”. 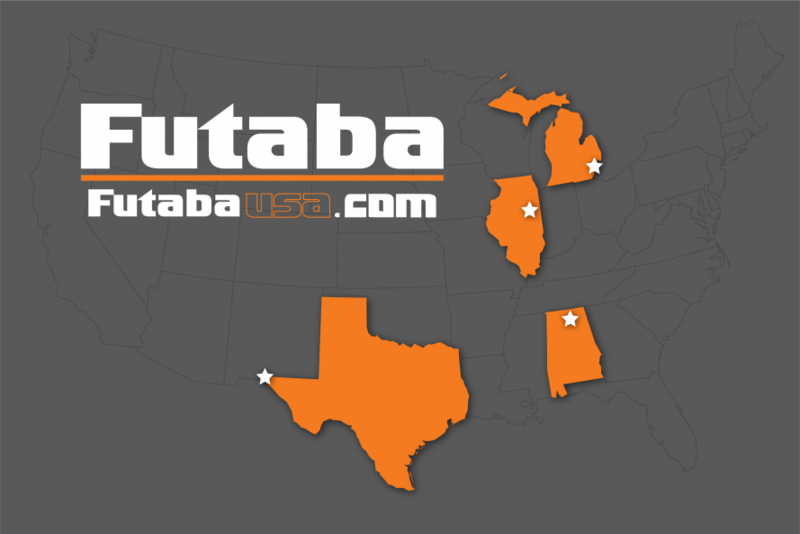 Our American based branch of the company, Futaba Corporation of America (FCA), supports these same technologies and is a leading provider of Electronic Manufacturing Services (EMS) including PCB Assembly to complete box build, test and engineering design. In 1989, our Huntsville, AL location was established. After repeated requests from our display customer base, in part due to our capabilities and quality, we saw great potential in providing an EMS solution to the market. As a result we entered into contract manufacturing in 1996 and have been successfully providing our services to many industry market sectors including automotive, industrial, commercial, medical, appliance, lighting and telecom. Headquartered in Schaumburg, IL, FCA is comprised of four locations in the United States; each offering their own unique support of the business. In addition to manufacturing in Huntsville, AL; Schaumburg, IL includes an Engineering Design group, testing and Display Sales; Plymouth, MI supports Automotive Sales; El Paso, TX performs product inspection and warehousing.